CHISINAU, 24 July 2012 – The Head of OSCE Mission to Moldova, Ambassador Jennifer Brush, met with his Holiness Metropolitan Vladimir, the head of the Moldovan Orthodox Church, in Chisinau today. This was the first time that the OSCE Mission to Moldova has officially met with the head of the Moldovan Orthodox Church. “I appreciate the opportunity to meet with his Holiness, as it is important for me to meet the relevant actors and stakeholders on both banks of the Dniester/Nistru. The church has a unique position in Moldova. It stands for traditions and values, cherished on both sides of the river, and is an important partner in a process of reconciliation after the conflict,” said Brush after the meeting. They discussed issues including the reconstruction of churches on both sides of the Dniester/Nistru, land restitution after the independence of the Republic of Moldova, the relationship with the Metropolitan of Bessarabia and possible future co-operation with Orthodox charity organizations. 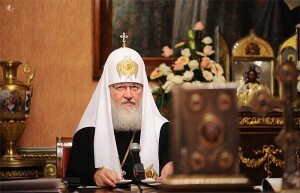 Conflict settlement was also discussed during the meeting, and Brush welcomed the initiative shown by the Moldovan Orthodox Church in the settlement process, including through organizing a recent joint visit of Moldovan Prime Minister Vlad Filat and Transdniestrian leader Yevgeny Shevchuk to Mount Athos in Greece.